For just US$1,399.00 ~ 1679.00 , buy DJI Mavic Pro Platinum FPV With 3Axis Gimbal 4K Camera Noise Drop RC Drone Quadcopter from the China wholesale webshop. – The DJI Mavic Pro folds down as small as a bottle of water, making it small enough to bring with you everywhere. – OcuSync transmission system offers up to 4.3 miles (7km) of transmission range. – True 4K, fully stabilized ensures smooth footage. – ActiveTrack, TapFly and other smart features make professional looking video effortless. – Obstacle Avoidance combined with sensor redundancy increases flight safety and reliability. – Vision positioning paired with GPS and GLONASS ensures precise positioning indoor and outdoors. – Fly by Phone over Wi-Fi for even easier flight. – A new and improved 30-mins flight time. – Aircraft noise has been reduced by up to 4dB*(60% noise power). 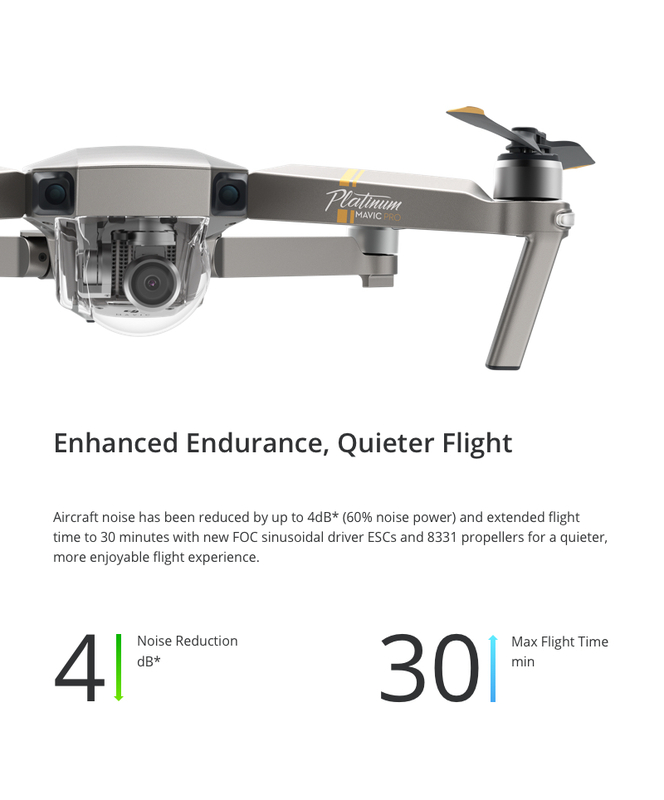 Mavic Pro vs. Mavic Pro Platinum – What&apos;s the difference? 2. It also has 4dB (60% noise power) aircraft noise reduction. 3. 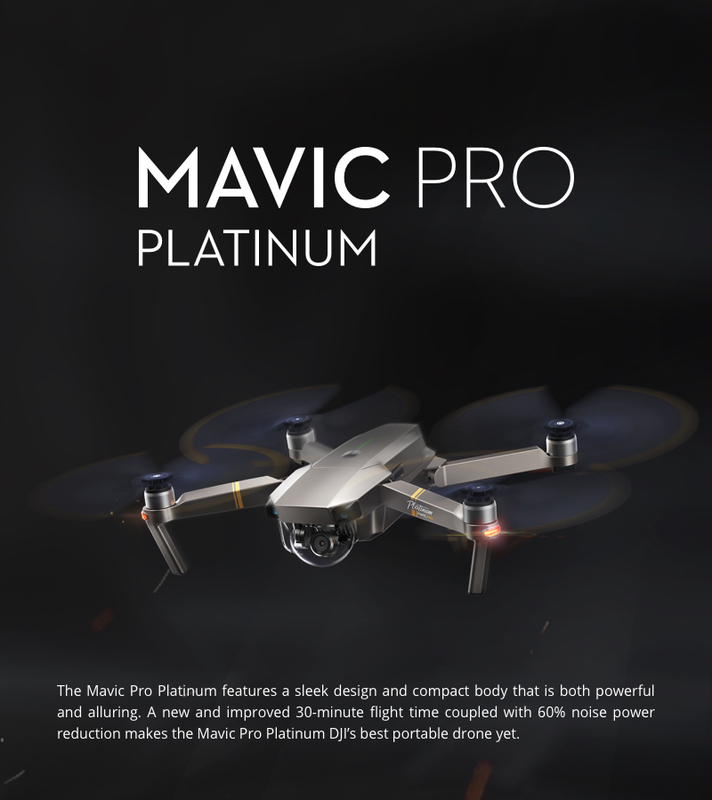 The aircraft comes in a sleek platinum finish, and have all the functions of Mavic Pro.